Whenever a file finishes uploading, I get redirected to a blank page that gives me the generic cookie consent message, only without any clickable buttons. As a result of this, it seems impossible to upload files. 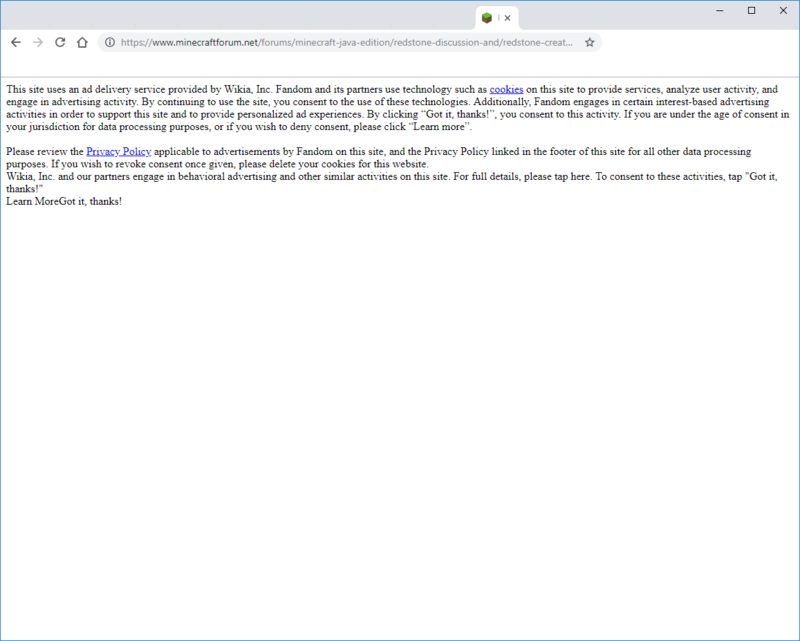 At first I thought it might be due to me having uBlock Origin enabled, but disabling it gave me the same result, only this time, with a 100% blank page.